It was a good day to be on the trail. Few people, fewer bugs, just the way I like it. 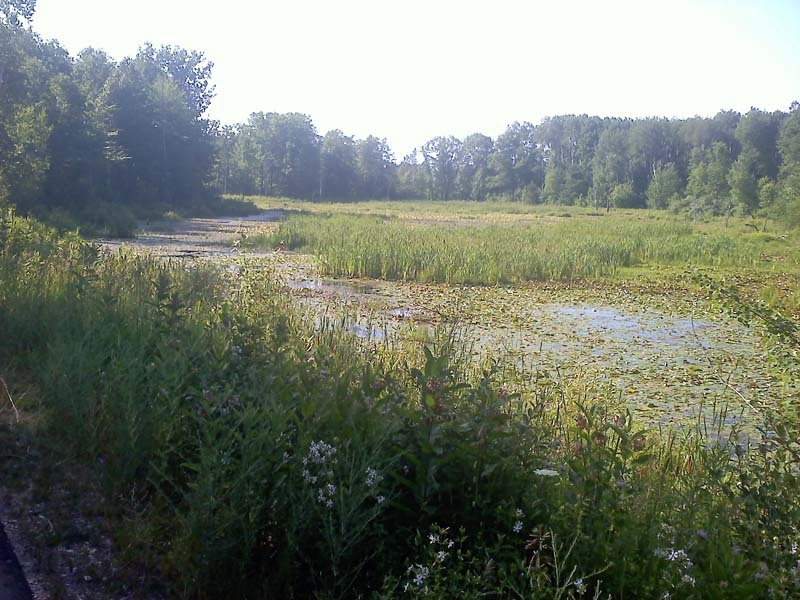 It was 8 a.m. and still cool as I rode my bike on the paved trail west of Clare, Michigan. My bike had 15-speeds but I hadn’t used more than a couple on the smooth, relatively level asphalt trail. It was quiet save for the birds and frogs. I had hoped to see a deer but thus far my wildlife viewing had been restricted to a pair of butterflies playing tag in the morning sun and an occasional chipmunk scampered across the trail. An hour into my ride, a large white structure appeared, looming high in the distance and reflecting the morning sun in the cloudless blue sky. The rectangular structure appeared out-of-place, an alien intruder in what up to now had been primarily a natural setting of trees, ponds and fields. As I got closer, I recognized it as the century-old concrete coal restocking chute in Lake that had once been used to refill the coal cars of the steam-powered locomotives that ran over the same route on which I now rode my bike. It was not the first railroad artifact I had encountered. And they were expected. 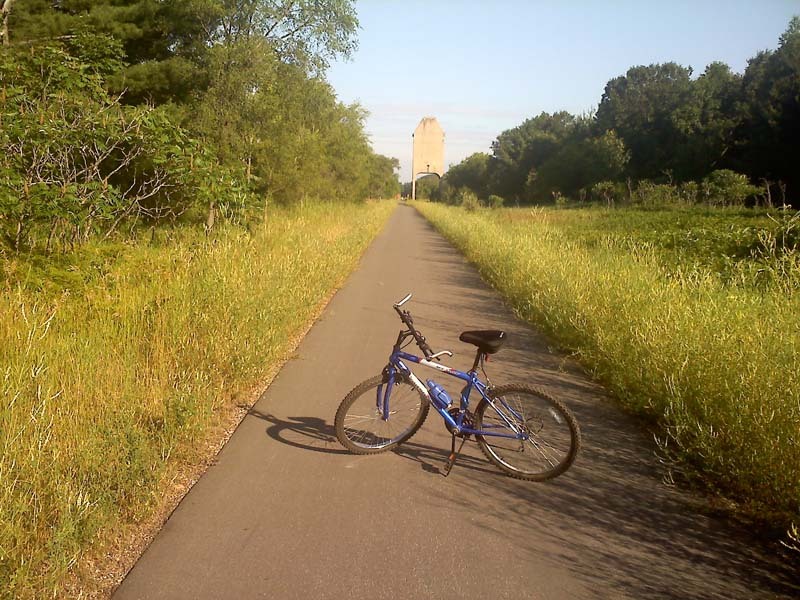 After all, I was riding the Pere Marquette rail trail, on the bed of a former railroad track. Now it was an 12-foot wide multi-use trail for bikers, hikers and equestrians in the summer and used by snowmobilers in the winter. 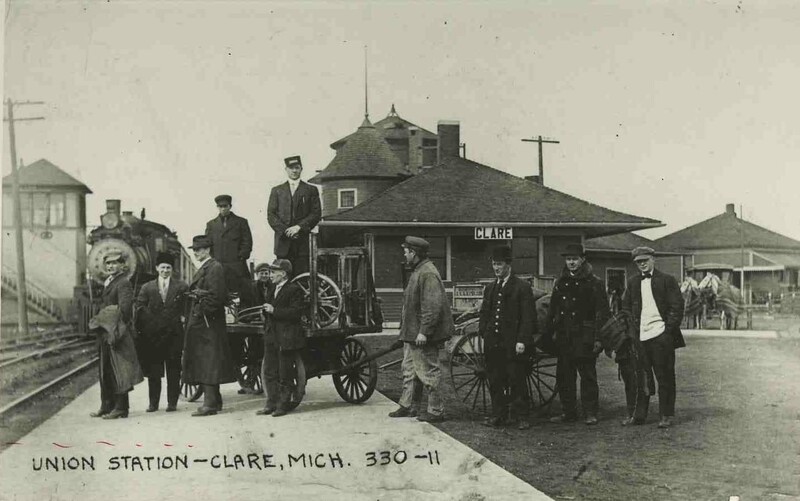 Once the railroad depot in Clare, 10 miles to the east, saw up to 40 trains a day rumbling past, engines chugging, whistles blowing and their black smoke filling the sky as they hauled logs such as pine and hemlock along this route from the forests of Clare and surrounding counties downstate to help rebuild Chicago after its 1871 fire and to meet demand of growing Michigan cities like Midland, Saginaw, Flint and Detroit. However, before the turn of the 20th century the old-growth forests that had brought lumberjacks, shopkeepers and entrepreneurs to the towns and cities of this area had petered out. And as the people left in search of greater opportunities the railroad lines that connected small towns in the area like Lake George and Leota were slowly abandoned. With the coming of the automobile and accompanying roads the abandonment accelerated. Eventually, this Pere Marquette line out of Midland was handling only freight for a few of the industrial customers; eventually it too became unprofitable and was finally abandoned around 1988. There are signs of the railroad as one rides. 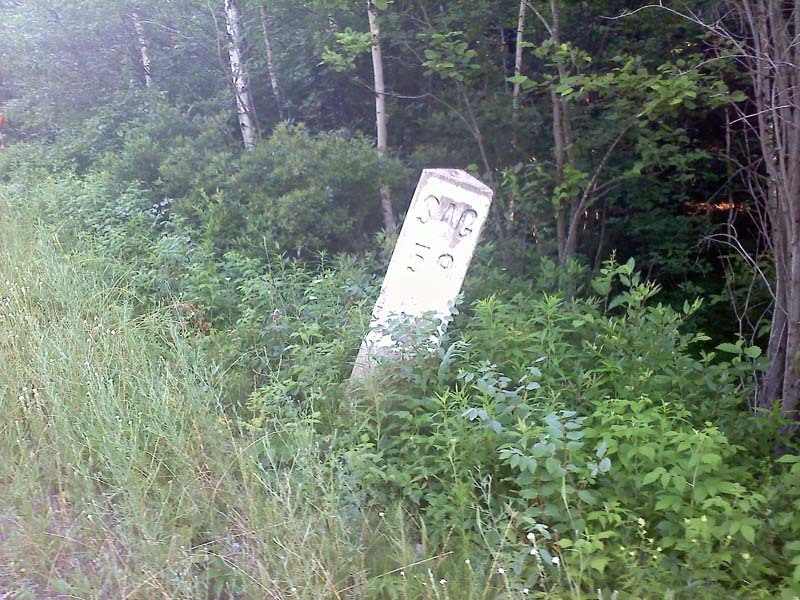 A concrete mile marker lies west of Farwell and if one stops along a curve of the trail, it’s possible to pick up pieces of coal dropped as the the trains. I started my ride that morning (Saturday, July 9, ) at a gravel parking lot just east of Farwell and headed west. A 30-mile stretch of the Pere Marquette rail trail, from Midland to Clare’s eastern border, had been completed in 1993 and the state (thanks to federal money) has been working on the trail west of Clare in spurts. This summer, a 10-mile section from west of Lake to Evart was finished. All that now remains to complete the 55-mile long trail from Midland to Reed City is a 6,000 foot section through Clare. The trail I rode that day crossed forests of pine and oak, ran alongside ponds where turtles sunned themselves on logs and near an occasional field. I rode slowly enjoying the sights and even stopped a time or two to pick raspberries. Although riders must be vigilant since the trail crosses a number of roads, the sights of the modern world are not normally seen along much of this section of trail. That is in contrast to the section east of Clare that parallels U.S. 10 for much of the way. I rode as far as the new section of trail that had been just laid down west of Lake, about two miles past the concrete coal chute. The section to Evart and beyond will have to wait for another time. As I rode back toward my car, the sun was warm on my face. I greeted a couple of bikers and a woman who was running with her dog. Everyone was smiling. Yep, it was a good day to be on the trail.